According to Brooks, in Science anything goes. The competition is so tough and the prizes so valuable that no punches are pulled. Drugs, lies, fraud, politics - all are part of the game. He exposes famed personalities from Newton to Einstein - showing how human they all are; and how the successful ones never hesitated to break the rules. Most of us have heard of Newton's famous statement on '..standing on the shoulders of giants', but we would not have heard of his skill of stomping down other scientists!. Any literate person would have heard of Einstein and his E=MC2 equation, but it is unbelievable to hear that he could not fully prove it in spite of eight attempts!! I explain this history in my book. Physicist and many-worlds guru David Deutsch had a new book last year, The Beginning of Infinity, where he argues for judging a scientific theory by its explanatory power. He is known for arguing that multiple universe quantum theory explains quantum computing. Everyone is all in favor of scientific explanation, so with whom is he disagreeing? It seems that he wants to carve out a position that is opposite to mathematical Finitism and Logical positivism. He also dislikes the Copenhagen interpretation of quantum mechanics. I defend logical positivism and Copenhagen. I should defend finitism also, as most math can be done from a finitary viewpoint. Jared Diamond got famous for giving grand explanations for the history of civilization, but, as Deutsch points out, the evidence for those explanations is very weak. Deutsch's book is interesting for his view of the world. However his specific arguments are not substantiated well enough to take seriously. In this paper I present a personal and scientific biographical sketch of Poincare,... He was so encyclopedic that he dealt with the outstanding questions in the different branches of physics and mathematics; he had altered whole fields of science such as non-Euclidean geometry, Arithmetic, celestial mechanics, thermodynamics and kinetic theory, optics, electrodynamics, Maxwell's theory, and other topics from the forefront of Fin de Siecle physical science. It is interesting to note that as opposed to the prosperity of biographies and secondary papers studying the life and scientific contributions of Albert Einstein, one finds much less biographies and secondary sources discussing Poincare's life and work. As opposed to Einstein, Poincare was not a cultural icon. Beginning in 1920 Einstein became a myth and a world famous figure. It is interesting to note that Einstein had a crisis at about the same time. Einstein appeared to have been trying to solve the conflict between the principle of Galilean relativity and that of the constancy of the velocity of light in Maxwell's theory; and the conflict between the principle of Galilean relativity and Maxwell's theory and Faraday's law. Although both Einstein and Poincaré were feeling a crisis at about the same time, they followed completely different routes. Yes, they had different routes. Poincare's approach was to use the constant speed of light to synchronize clocks and define space and time; insist on the relativity principle as the best explanation of the Michelson-Morley experiment; invent a non-Euclidean geometry for four-dimensional spacetime using the Lorentz group and Minkowski metric; prove the covariance of Maxwell's equations for electromagnetism; and use symmetry invariance to find new laws of physics so that relativity becomes a spacetime theory that applies to everything. Einstein's approach was to make Lorentz's theorem of corresponding states into a postulate, and to use Poincare synchronization to give an exposition of Poincare's physical interpretation of Lorentz's local time. He is thus able to give a presentation of Lorentz's electron theory. Lorentz explained, "Einstein simply postulates what we have deduced". Poincare's approach quickly became the backbone of special relativity. This is all explained in my book. There are many interpretations of quantum mechanics, and no experiment to prove that any one is better than any other. So choosing one is a matter of convention. You might even prefer one interpretation for some problem, and another interpretation for others. Medieval astronomers sometimes used a geocentric model for some planets, and a heliocentric model for others, even tho the models conflict. The founders of quantum mechanics were believers in positivism, a philosophy that has since gone out of favor. Positivists believe in what is observable, and avoid giving opinions on what is not. I believe that the more the interpretations stray from positivism, the harder it is to make sense out of them. Therefore I propose what I call the positivist interpretation as the core minimalist way to understand the theory. I advocate an extreme "shut-up-and-calculate" approach to physics, where our external physical reality is assumed to be purely mathematical. But that assumption is extremely dubious, and not substantiated by any observation. I cannot prove him wrong, but a positivist would reject it just because there is no observational support for it, and because it is not even particularly useful in modern physics. I have written a FQXi essay against it. The original Copenhagen interpretation was positivist, but it is widely misunderstood. The Ensemble interpretation is supposed to be minimalist, but it is not truly positivist because it does not predict single experiments. Other interpretations assume all sorts of things that can never be observed. Most physicists accept something like Bohr and Heisenberg’s Copenhagen interpretation. This holds that there is no essential reality beyond the quantum description, nothing more fundamental and definite than probabilities. This is close to being positivist, but a true positivist would not say that there is no essential reality. He would accept the observable realities, and dismiss talk of other realities as being meaningless until someone relates them to observables. He also would not say that probabilities are fundamental, as they are interpretational and not observable. Here are characteristics of the positivist interpretation. It is local. No action-at-a-distance has ever been observed, nor is it possible in a relativistic theory. Lumo gives recent explanation of why nonlocality research is pseudoscience. It rejects hidden variables, as they are not observed and all evidence is to the contrary. 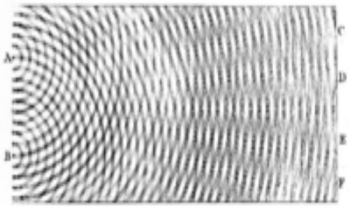 Even the wave function is not real, as it is not directly observable. Positivism also rejects Counterfactual definiteness. As A. Peres said, Unperformed Experiments Have no Results. I am neutral on Determinism. I am convinced that no quantum probabilities are needed. If the theory does not need them, and they are not observable, then they are not part of the positivist interpretation. I am also neutral on what I call the weak mathematical universe hypothesis. When a positivist says he is neutral, that means that he rejects it as extraneous. I have never seen anyone explicitly reject it, but I believe that it will eventually be seen to be false. Explanations of quantum mechanics often get hung up on trying to attach some meaning to reality that is independent of what is observed. Physicists will even say that quantum mechanics proves that there is no such thing as reality. What they are really saying is that non-positivist interpretations are hard to understand. Adopt a positivist philosophy, and the problems disappear. A good explanation of positivist quantum mechanics is this essay on Quantum Reality. The author favors a positivist variant of the Copenhagen interpretation that he calls the London (Ticker-Tape) Interpretation. He says "Bohr got it pretty much right" and positivism has the virtue of "no deeper meaning than that obtained through measurement". Positivists are sometimes criticized for saying that there is no deeper meaning, when they cannot prove that there is no deeper meaning. But that criticism misunderstands positivism. The more correct statement is that positivists admit that there might be a deeper meaning involving determinism or probability, mathematical or physical universe, waves or particles, etc. But quantum mechanics experiments are unable to resolve these issues, so they are not worthy of scientific discussion. Adding to the confusion, modern philosophers not only reject positivism, they also deny that Bohr was a positivist. Yes, Bohr did get it right with his positivism, and he was considered the winner of the Bohr–Einstein debates. But as positivism has gone out of fashion, so has Bohr's view. Probably a lot of physicists and philosophers today would say they prefer Einstein's view because it is more realist. They cause a lot of confusion. It would be better if quantum mechanics were taught with the positivist interpretation. The main virtue of the positivist interpretation is that it only requires you to believe in the core physics, and does not require you to take a position on determinism, many-worlds, consciousness, or anything like that. In the last 85+ years since the discovery of quantum mechanics, all people opposing quantum mechanics have lost, all of their predictions differing from the predictions of quantum mechanics have been proved wrong, and the whole philosophy of trying to find and promote "problems" with the proper Copenhagen quantum mechanics – and all these efforts are always driven by the desire to undo the quantum revolution and return physics to the age when the classical framework was dominant – has been an utter failure, an embarrassing pseudointellectual catastrophe, a huge pile of stinky junk that no sensible scientist would associate herself with. I am amazed that even this modest and balanced summary of the situation may be considered controversial by some physicists in 2012. I am amazed that Brian Greene may be on the evil side, too. Niels Bohr treated the theories about many worlds as garbage bringing nothing new and correct to physics for a simple reason: they were garbage that was bringing nothing that was both new and correct. I agree with this. I believe that the richer interpretations of quantum mechanics are wrong for reasons explained in my FQXi essay. I differ from him in that I subscribe to an even more minimalist interpretation, as I say that no quantum probabilities are needed, not even for the double slit. With all the publicity about the discovery of the Higgs boson, hardly anyone is explaining that it is a confirmation of modern Aether theories. Usually any mention of the aether is followed by saying that it was a quaint 19th century concept that was disproved by Einstein's relativity. But that is not true, and was not even Einstein's view. The concept of the luminiferous aether dates back to ancient times, and refers to whatever fills outer space that allows us to see the light of the stars. It is sometimes said that the vacuum is empty space, and that no such aether is needed to explain the propagation of light. But that is not true either, as modern theories of light require a nonempty vacuum. Quantum electrodynamics is a perturbation theory of the aether. No theory of the constitution of the aether has yet been invented which will account for such a system of molecular vortices being maintained for an indefinite time without their energy being gradually dissipated into that irregular agitation of the medium which, in ordinary media, is called heat. Whatever difficulties we may have in forming a consistent idea of the constitution of the aether, there can be no doubt that the interplanetary and interstellar spaces are not empty, but are occupied by a material substance or body, which is certainly the largest, and probably the most uniform body of which we have any knowledge. Whether this vast homogeneous expanse of isotropic matter is fitted not only to be a medium of physical interaction between distant bodies, and to fulfil other physical functions of which, perhaps, we have as yet no conception, but also, as the authors of the Unseen Universe seem to suggest, to constitute the material organism of beings exercising functions of life and mind as high or higher than ours are at present, is a question far transcending the limits of physical speculation. Maxwell's view was that the aether was pervasive, uniform, invisible, frictionless, and permeating matter. It is sometimes said that the aether presupposed some sort of fixed coordinate system, but Maxwell does not say that. In the first part of the twentieth century, the upheavals of relativity and (especially) quantum theory shattered the foundations beneath classical physics. Existing theories of matter and light were reduced to rubble. That process of creative destruction made it possible to construct, over the second part of the twentieth century, a new and deeper theory of matter/light that removed the ancient separation. The new theory sees a world based on a multiplicity of space-filling ethers, a totality I call the Grid. The new world-model is extremely strange, but also extremely successful and accurate. What is Space? Is it an empty stage, where the physical world of matter acts out its drama -- an equal participant, like the classical Ether, that both provides background and has a life of its own -- or the primary reality, of which matter is a secondary manifestation? Today, the third view is triumphant. Where our eyes see nothing our brains, pondering the revelations of sharply tuned experiments, discover the Grid that powers physical reality. The Higgs boson is not just some isolated particle. It is the quantization of an aether that is pervasive, uniform, invisible, frictionless, and permeating matter. And that aether is completely essential to modern physics. 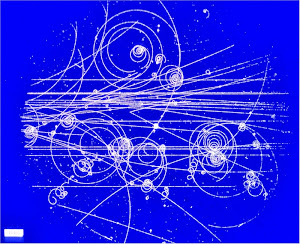 The Higgs aether gives mass to the electrons and quarks, the basic constituents of matter. All electrons are identical, and have the same mass. So the Higgs is the same everywhere. The aether is the largest and most uniform body, just as Maxwell said. You could also say that there is an electron field in a vacuum, with fluctuations making virtual electrons. But there is no net number of electrons. The Higgs aether is different in that the Higgs field is nonzero in the vacuum. This is from The Argyle Sweater by Scott Hilburn. Sometimes people assume that Copernicus was particularly novel or courageous by saying that the Sun does not revolve around the Earth. Maybe not.